If you are looking for replacement Cooling Tower Parts such as cooling tower fill media, drift eliminators, spray nozzles, cooling tower fans, water level controls, or inlet lovers we can help! 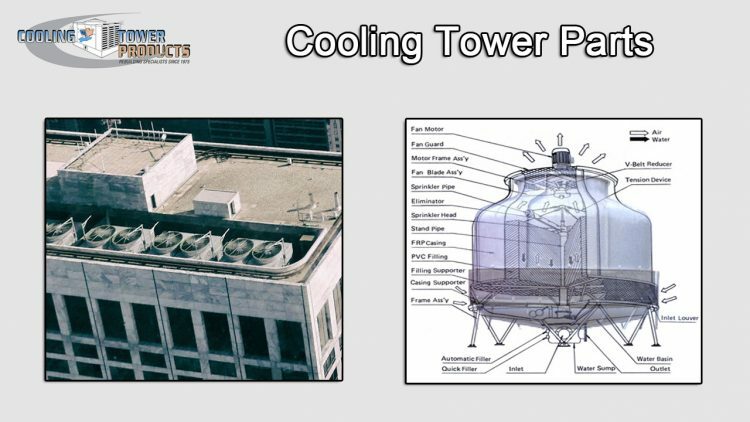 Learn more about the internal functions of a cooling tower and which ones you can replace in this post. Cooling Tower Products is the largest supplier of cooling tower parts and products! See below for a list of cooling tower parts we sell and a description of each of their functions. Here are a list of the most common cooling tower parts that might need to be repair or replaced during the life of your cooling tower. What is cooling tower fill media? Fill media is by far one of the most important cooling tower parts. It could be considered the middle man of the entire process. Many of today’s cooling towers use efficient plastic film fills or fill media that maximize the surface area for evaporative cooling processes. Water gets distributed onto the fill, which spreads into thin film. This process increases the water-air interface and allows extra heat to evaporate at a fast pace. The major factors in choosing fill media are TSS levels or Total Suspended Solids, intended treatment, water make-up and contamination potential. The 2 basic types of fill media are film type fill media (spreads the water out into a thin layer) and splash type fill media (breaks the water up). There is also fill media for specific types of towers such as crossflow fill media and counterflow fill media. Cooling Tower Instrumentation systems usually include: Flow Meters For Cooling Tower Makeup Water, Blow Down Rate, Water Level Switches For Cold & Hot Water Basins, Thermocouples for Cold & Hot Water Measurement Of Temperature, Vibration Switches and Low & High Oil Level Switches. What are cooling tower drift eliminators used for? 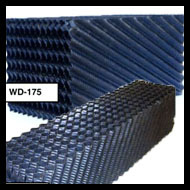 Cooling tower drift eliminators and heavy duty drift eliminators are parts of a cooling tower that are designed to remove droplets of water from the air and minimize loss of process water. Drift eliminators cause the droplets and air to change direction suddenly. This process causes the water to become separated from the air and put back into the cooling tower. What are cooling tower nozzles used for? Cooling tower nozzles are most frequently used in crossflow cooling towers because they use gravity-flow distribution basins. With these types of systems, the water supply is raised to the distribution basins above the fill media and then flows down over the fill (by way of gravity) through the cooling tower nozzles in the basin floor. What are cooling tower fans used for? Cooling tower fans are used to force or push large amounts of air throughout the cooling tower. They must be built to withstand the corrosive effects in which the environment that they operate. These fans are usually loud but there are certain types of low-sound cooling tower fans. Cooling tower fans are used in crossflow, counterflow, induced/forced draft cooling towers. Natural draft cooling towers don’t need fans because they use the natural air flow and different processes that cool the water. The deck of the fan is a supporting platform for cylinders of the fan, which also makes an access way to the fan and water distribution system. 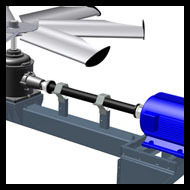 Petrochemical & Refinery cooling tower applications need explosion proof fan motors to prevent leaks in heat exchangers. Fan motors need to be manufactured with Earth fault relay and over load relay protection systems. What are cooling tower Cooling tower drive shafts used for? Drive shafts transmit power from the motor’s output shaft into the gear reducer’s input shaft. Drive shafts must also be corrosion resistant due to the harmful environment it which they operate. The drive shaft is the connecting link between the electric motor and the input shaft of the gearbox. The different types of gear boxes include A series single reduction gear boxes, A series double reductions gear boxes, single reduction gear boxes and double reduction gear boxes. Piping, for water distribution in a cooling tower, is buried underground and should be supported in-ground to prevent thrust loading in the cooling tower because of self weight and water pressure in the pipe. What are air inlet used for? 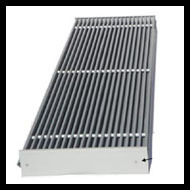 Air inlet louvers or air intake louvers prohibit the sun light from entering the basin, which prohibits algae growth and lowers chemical costs. These louvers also lower the amount of splash-out, which lowers the volume of water and chemical use. Also, you will experience easier basin removal and access. The air inlet louvers in counterflow towers can sometimes become scaly if they are not correctly maintained and cleaned. 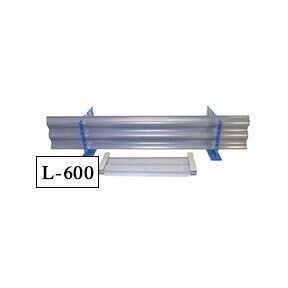 Scaled louvers lessen the amount air flow which lowers the efficiency of the unit. What are electronic float valves used for? Electronic Float Valves are design for cooling tower functionality, brass float valves and electronic water level systems have little maintenance with an extended life. 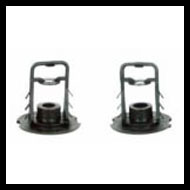 Typically, there are electronic float valve kits available which include the float arm, float valve and float in kits to fit specific applications. Distribution Valves regulate the flow of hot water to evenly distribute it in cells. The body of the valve in a distribution valve is made withstand corrosive environments. Interior cooling tower coatings, or cooling tower sealants, help prevent corroding, leaking or rusting inside a cooling tower, while exterior coatings protect the outside of the cooling tower from corrosion and rust. Protecting all sides of your cooling tower helps prevent future problems and costly repairs. What are cooling tower basin heaters used for? Cooling Tower Basin heaters prevent the cold water basin from freezing up during the winter weather conditions and can be used on Evapco, BAC, Marley and other industrial manufacturers’ products. 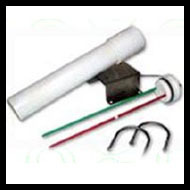 BAC basin heaters are CSA and UL rated. 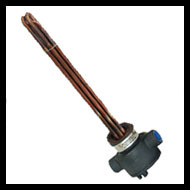 They have strong long lasting copper heating elements to ensure a long-life. 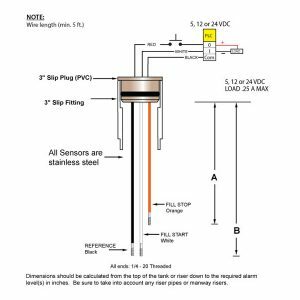 The MPT connection is simple to fit into any cold water basin for closed circuit fluid coolers, cooling towers, and evaporative condensers. We offer replacement cooling tower parts for Marley, BAC, Evapco, Tower Tech, Recold, Imeco, Vilter and Frigid Coil cooling towers. We manufacture parts for all makes and models of cooling towers.